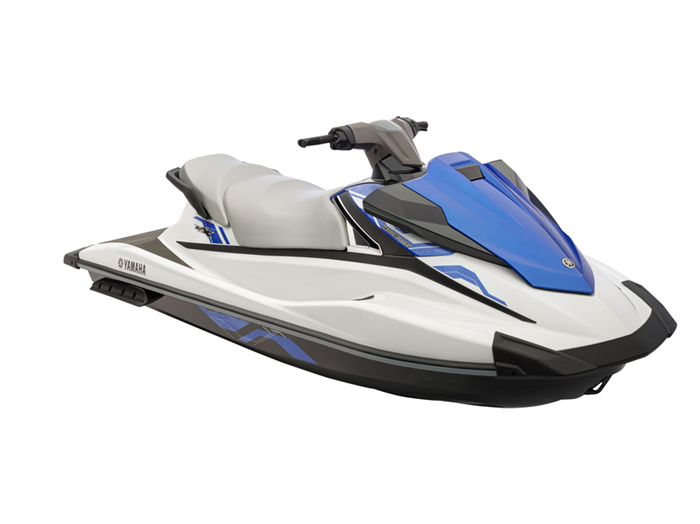 Since its inception, Yamaha’s VX WaveRunner has been their best selling and for 2015 they have added some features to it that are going to keep it that way. 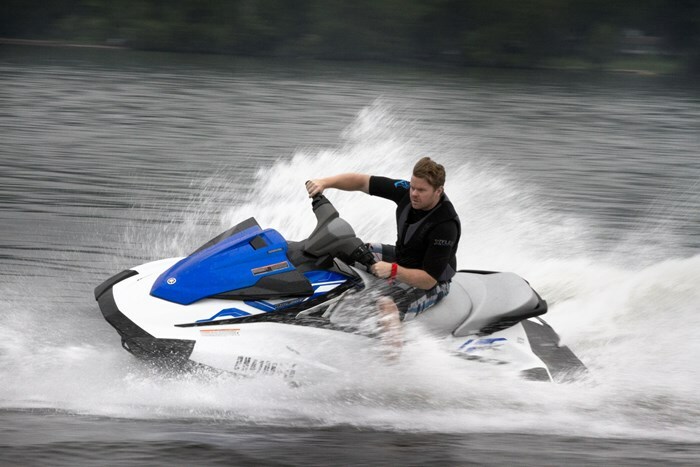 Instead of leading into it in a big way I am just going to dive right into Yamaha’s new RiDE system that I tested on the VX Waverunner. Reverse with Intuitive Deceleration Electronics is a bit of a mouthful which is why the brass at Yamaha opted with the marketing friendly RiDE. Basically what it is, is a dual handlebar throttle control system. The right side, like it always has been is your accelerator. They added a throttle control on the left hand side to control your reverse speed as well. I’m not sure if it’s implied but you also use these to shift gears. When the engine starts the watercraft defaults to neutral. When you touch the ride throttle you engage forward. Tap the left throttle and you shift to neutral. Hold it and you are now in reverse. This is an excellent design because it now keeps both of your hands on the handlebars and allows you to shift gears very quickly. Much like the name suggests, the system indeed is very intuitive. I hopped on the watercraft, having heard about this system and just fired it up to see if I could figure it out. It took me 5 seconds to do so. Once I started the VX I simply tapped the left throttle to engage reverse and I turned the handlebars left once and right once to see how the VX would react and I pretty much had it figured out. At test day I was presented with a close quarter situation I needed to escape to get away from the dock, a perfect scenario for RiDE. A couple snaps left, a couple right and I was on my way, not only that, but I was sold. Out on the water I was able to test out the Deceleration Electronics part of RiDE. You see, if you happen to be driving forward with your right hand on the throttle. You can release and quickly press on the left throttle. You will then decelerate much quicker than you would if you just released the throttle. Not only that but you will remain in control as any PWC is only in true control when it is in moving since it relies on water flow for propulsion and maneuvering. I put this system through multiple tests, decelerating from various speeds and it lived up to the hype. While I didn’t measure, I would estimate it stopped me at least 50 feet and almost 5 seconds faster than just letting go of the throttle. You think about it that’s the difference between a crash or not. 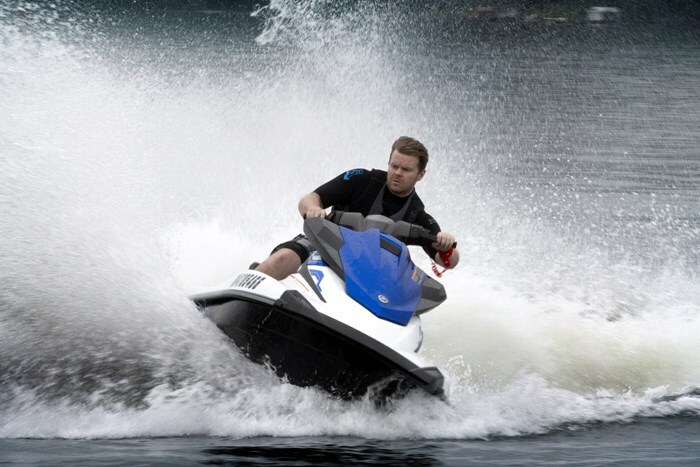 There are still the hallmarks that have made the VX so popular over the years including the lightweight and strong hull design and the MR-1, 1052CC four-stroke powerplant that you will find powering. This is nowhere near Yamaha’s most powerful engine, and that’s for a reason. Put a bigger engine in this watercraft and it’s no longer a VX. That doesn’t mean this isn’t a fun watercraft. Deliberate sponson placement gives the VX smooth straight line handling, especially with 2 and 3 people aboard, but it’s still fun and toss-able when you want to let loose. In terms of other features, what you see is really what you get. This is quite refreshing. Yamaha has stayed true to the VX’s roots keeping it simple. There’s storage under the cowling, along with a little glove box style compartment under the handlebars. The seat lifts up to access the engine and the third person seat removes revealing waterproof storage. This is great for wallets and cell phones because when you’re at your destination you just take it with you. All in all you will find up to 60 L of total storage in the VX, which is plenty. 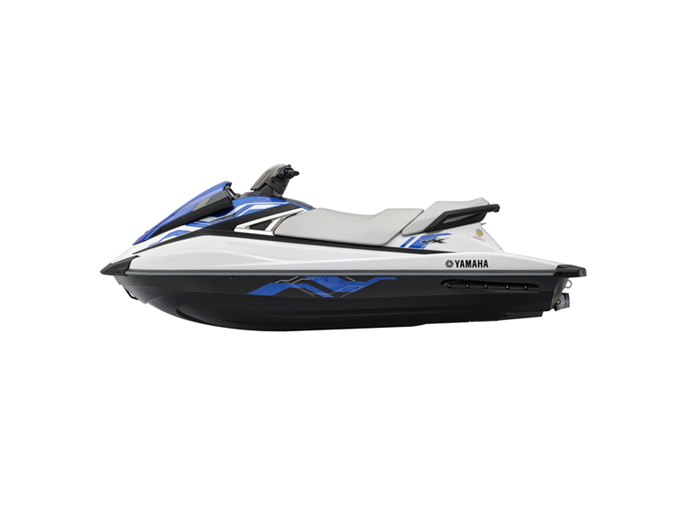 On the Yamaha Motor Canada website they show an MSRP of $11,159 for the 2015 VX which I think is quite reasonable for a brand new three seater watercraft. 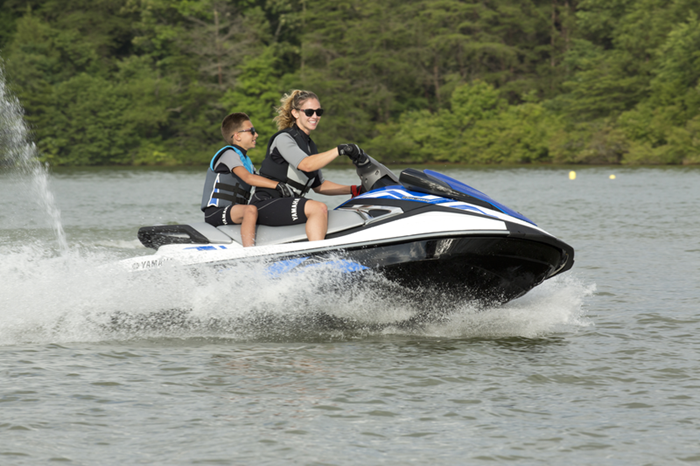 With this watercraft you can tour your cottage lake, take it on a day trip through the locks and do some water skiing with the kids. You can easily trailer it, meet up with friends or head to your favourite lake side restaurant. Basically with an affordable price tag for a machine that can do everything means you can do exactly that - everything.